At times in the depths of course content delivery students can feel like they’re drowning in an ocean of information overload. So how do we throw a lifeline to these students? One way might be to include consolidation interactives into your course. There are a wide range of interactives available that can help confirm understanding or flag up areas of misunderstanding. During the delivery of course content there may be a certain topic area that students regularly find challenging, this might be a great place to encourage active engagement in content delivery by including some form of interactive. Interactives include quizzes that check student understanding and provide feedback to students, discussion forums or collaborative practicals. Another way to encourage active engagement may be to contact a friendly Learning Designer about embedding some interactives into your course at crucial topic points. 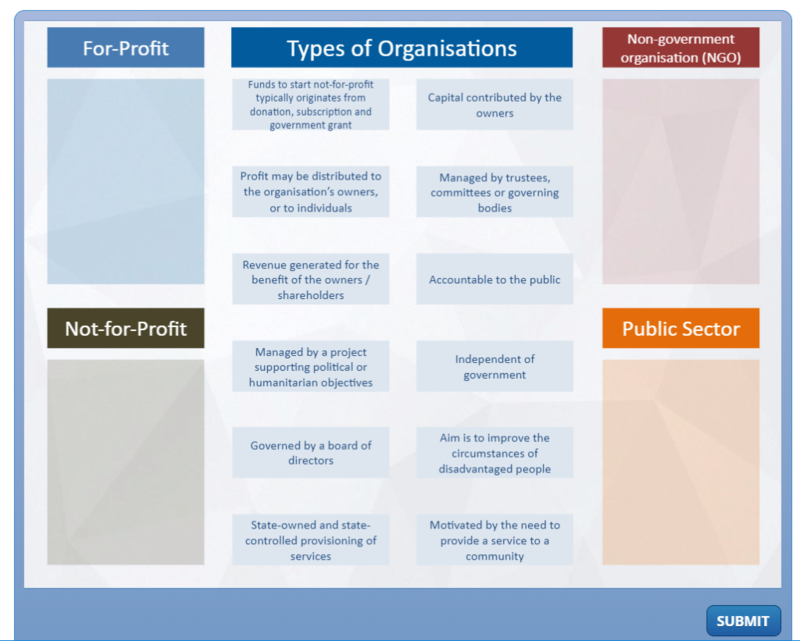 Below you can see an example of an interactive that has been included in the recent Virtual Exchange Program Project Management I course. Interactives like this one support the content delivered to students whilst also providing students with an opportunity to practice the knowledge taught. One of the great things about these types of interactives is that they provide students with active engagement within their MyUni course site. Even better, students can complete these activities numerous times through the length of their course continuously revisiting challenging content areas. So, if you can think of a great opportunity to encourage active engagement in your course through interactives have a chat to a Learning Designer (https://www.adelaide.edu.au/learning-enhancement-innovation/learning-design/) about how best to achieve your vision! This entry was posted in News, Teaching and Learning and tagged active learning, course design, ideas. Bookmark the permalink.